A car’s engine oil works to lubricate the layer between engine parts to keep it gearing smoothly. But if your car is producing those screechy engine noise and knocking and cannot find fault with your car in general, then it’s likely your oil is not doing its job properly. Sure settling for regular motor oil will save you more money. But did you know that cheap oils will cause you more bucks in the long run? 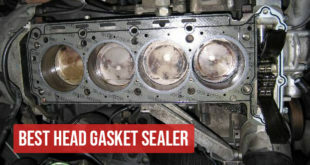 We are talking about expensive car fix and maintenance here, brought about by the engine tearing itself apart through poor quality lubrication. Why settle for less when you can upgrade your engine oil to a premium quality? Gone are those days when we are restricted with only the selection of conventional oils. There’s a reason why scientists came up with the development of synthetic oils. Initially, synthetic motor oils are designed for the engine modern jets to cope up with extreme weather conditions up above. A few decades later, the modern oil lubricant isn’t longer a luxury for aircraft. In the world of automobiles, synthetic oils perform equally well with low and high temperatures in addition to providing engines a smoother performance and more mileage whilst keeping wear at bay. Learn your best options for synthetic motor oils here and everything you need to know about switching to best synthetic motor oils. 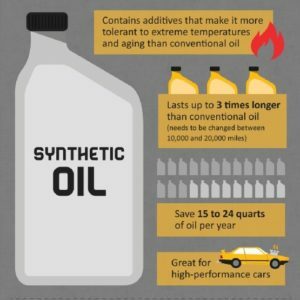 What exactly is a synthetic motor oil? What makes synthetic motor oils superior to conventional ones? What are my options for synthetic motor oils? Remember that your engine is the heart of your vehicle and you definitely want it to last as much as possible. Going for the best synthetic oils is one of the best ways to take care of your engine and keep it from gearing. But while synthetic motor oils provide the best engine protection, not all of them are in the same formulation. In the industry of engine oils, there will always be one that outperforms the other. So we went on a hunt for those best synthetic motor oils out in the market today. Based on the opinions and expertise of many engine oil users, here are your excellent options for best synthetic motor oils. You can’t really go wrong with Mobil 1, this brand of advanced full synthetic motor oils is synonymous with high performance and have gained a wide range of followers. If you are after their latest formula for outstanding wear protection, Mobil 1 94001 5W-30 would be an excellent choice. This advanced full synthetic oil will prevent your engine from wear out and keep it forever running new. It’s also worth noting that this is SAE rated 5W-30 oil which means it will likely share a stable viscosity oil over a wide range of temperature. 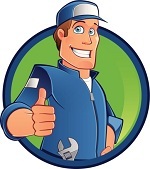 This means that you can rely on engine operation all season. When it comes to engine cleaning delivery, It also doesn’t disappoint. 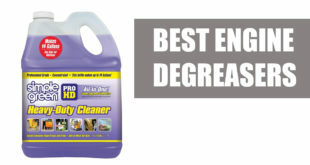 Since it contains fewer impurities, it gives a better resistance to the formation of sludge and deposits which is what additionally gives your engine a better all-around performance. Mobil 1 94001 5W-30 has also met the standard requirements for API’s diesel-powered vehicles and rated by ILSAC as GF 4 and is tailored to meet the needs of all types of modern vehicles. Those who are leaving in coldest places favored Shell Rotella T6 5W-40 Full Synthetic Diesel Oil. Patented in the heritage of the company’s Triple Protection Technology is a free-flowing, high viscosity synthetic base oil, designed to protect your engine against extreme cold weather conditions. Even with high temperatures, rest assured that the high level of viscosity will be retained to resist breakdown by heat. Among the other notable features is its low ash technology which helps to protect exhaust and filters against harmful after-treatment devices. This is worth note taking as this doesn’t only make the oil fuel-efficient but also emission-compliant. In addition, the heavy engine duty formula also contains a high-end additive that leaves an enhanced protection against harmful deposits and contaminants. 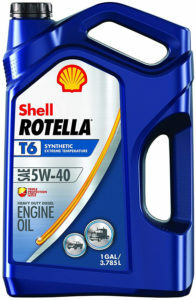 What’s more to like, Shell Rotella T6 5W-40 Full Synthetic Diesel Oil is a great value for money considering it is compatible with some motorcycles. No more purchasing separate motorcycle oils! Just like how Castrol is known for their high-end cars, they are also the trusted brand lubricants for automobiles, motorbikes and even aircrafts. In fact, a Castrol-sponsored team of motorsport riders has broken the land speed record more than 20 times, which only proves that Castrol is on top of their game. Like every Castrol EDGE advanced premium synthetic engine oils, Castrol EDGE 0W-40 A3/B4 is infused with titanium liquid. Why titanium? This lustrous transition metal, when combined to engine oil enhanced its efficacy, giving an edge in protecting your engine’s critical parts; from the valve train down to the bearings. Its unique adaptive strength reduces metal to metal friction amidst a range of driving speeds. This maximizes engine performance, reduces engine noise and extends drain interval of up to 15,000 miles. 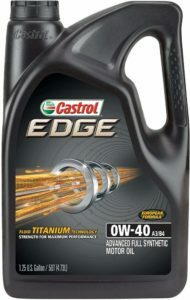 In addition, Castrol EDGE 0W-40 has passed the Intense Pressure Test and is one best synthetic motor oils you can buy. 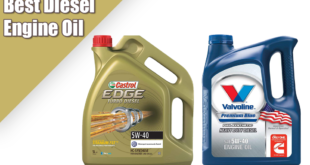 Great for both gasoline and diesel engines, this is yet another great value synthetic oil. No wonder it’s among the popular of its kinds despite being new in the market. The optimized fuel efficiency of Royal Purple 51530 API-Licensed SAE 5W-30 adds up to its great economic value since the engine will not demand more consumption of fuel, thanks to its improved compatibility with higher ethanol fuel. Although not a full synthetic oil, the manufacturer uses only premium quality base oil matched with proprietary additive enhancers for that out-of-the-ordinary engine performance. In fact, words of praise were expressed by its users with regards to its increased level of protection against metal-to-metal contact and catalytic emission system. On top of that, it also provides superior protection against corrosion. 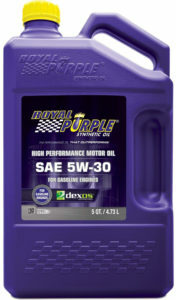 It’s also worth mentioning that Royal Purple 51530 API-Licensed SAE 5W-30 has met that standards set by ILSAC (International Lubricants Standardization and Approval Committee) for performance upgrade specifications and Dexos1 specifications for engine lubricants for General Motors’ (GM) vehicles. You can always count on Pennzoil for cost-effective engine oils that don’t compromise performance. Pennzoil 550040863 Ultra Platinum 5W-20 takes pride in its PurePlus Technology which involves a unique process of converting raw materials into a 99.5 percent pure full synthetic base oil with high performing additives. The manufacture engineered the technology to deliver a consistent viscosity performance even if the oil is subjected to very low temperature, exceeding API Group II and III base oils when it comes to delivery of performance. 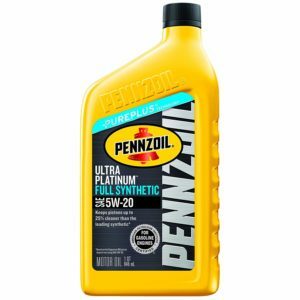 Since Pennzoil 550040863 Ultra Platinum 5W-20 has several viscosity grades among its arsenal, it also provides protection from power loss, giving you a higher mileage — 550 extra miles per year to be exact as calculated by the company. Other significant benefits include a great reliability on its oil flow, protection against thermal breakdown and a cleaner engine. Valvoline SynPower 0W-20 ımpressive low temperature rating at 0 means you can get a fast engine response under cold weather circumstances. And if you are to listen to motorists buzz about this product, the engine will to take you to an extra fuel mileage of 2MPG. Perhaps, it has something to do with SynPower formulation enhanced with durable anti-wear additives, which addresses other causes of engine stress, namely deposits and wear. This SynPower engine oil is fully synthetic and caters to high-performance engines including turbo-charged, supercharged, multi-valve fuel engines among many others. It comes at a lower price as compared to other premium motor oils, quite a catch to say the least. 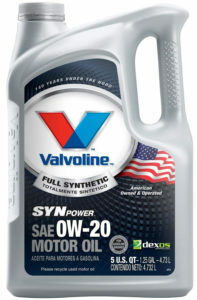 We can’t just let you go away without mentioning that Valvoline is amongst the trusted popular brand in the U.S. SynPower 0W-20 is among their products that are ILSAC certified designed to meet the latest standard of engine manufacturers. temperature by simply lubricating them. Synthetic motor oil is composed of chemical compounds that are lab-made. It is commonly a mix of three elements; the base oil, performance additives and the carrier oil. Now to better understand how a synthetic motor oil works, let’s take a closer look at its composition. Base oils can either be made up of chemically modified petroleum or synthetic chemicals like synthetic esters, alkylated aromatics or polyalphaolefin (or a combination of the aforementioned). These base oils lubricate and cool down the engine. Most synthetic oils are composed of base oil for up to 95. The American Petroleum Institute (API) classifies these base oils according to the concentration and paraffin content as well the saturation level. There are 5 classifications ranging from Group I to Group V with the first three groups respectively characterized as fair to best refined crude oils. Group IV is mainly polyalphaolefin-base while Group V is the base oil classifications which characteristics don’t fall in any of the previous categories. Group III and V is touted to be of superior quality and tend to offer more performance advantages than the rest of the groups. contain 2 to 3 percent of the solution. Zinc dialkyl dithiophosphate (ZDDP) is a common additive used in synthetic motor oils known for its superior anti-wear protection while the presence of magnesium sulphonates in additives help filter oil impurities and engine sludge. Carrier oil simply functions to suspend the additives throughout the base oil. While both synthetic and conventional oils are initially a crude oil sourced out from the ground, they differ in the creation process. Synthetic motor oils use a more advanced refining process that filters more crude-oil impurities than what is found in conventional ones. Moreover, motor oils made from synthetic oils carries high-performing additives, outperforming conventional oils and many of its motor oil counterparts when it comes to keeping your engine in tip-top shape And because synthetic oils are made in the lab, the molecules are more uniform. In fact, synthetic oil has passed different performance tests including Viscosity Index (ability to protect the engine), Total Base Number ( ability to withstand acid buıidup) and NOACK Volatility Number ( ability to perform in extreme temperatures). To put it in a nutshell, switching to synthetic motor oils gives your engine optimum lubrication to perform at its best. The following are the other advantages you can get in choosing synthetic motor oils over conventional ones. Maximum Engine Protection: When exposed to high speeds and mileage, conventional lubricants get easily break down which lessens its ability to reduce the friction between the engine’s internal components. Synthetic motor oils, on the other hand, have components that went under pure distillation and thus offering minimal oil degradation for a better engine wear protection. A Cleaner Engine: There’s also a great difference between synthetic and conventional oils as they age. Conventional oils can produce sludge which can lessen the engine performance and usability over time. But because synthetic oils are higher in purity as compared to conventional oils, it has the ability to withstand sludge formation, avoiding rusts and harmful deposits. Faster Lubrication: What happens when you use conventional oils during colder weather months? You might have to wait to heat up the car since the oil takes a long time to flow smoothly. Meanwhile, synthetic oils are designed to lubricate quickly even at low temperatures circumstances. They start working right after you fire that ignition even so you don’t have to play the waiting game. Exceptional Resistance to High Heat: Conventional motor oils don’t have a great resistance to thermal heat. A high-temperature breakdown is not likely with synthetic oils since they are designed to withstand extreme weather conditions, providing a more efficient engine operation over an exposure to a high-temperature range. Adaptability to Modern Engines: Modern cars and most sports cars comes with smaller engines and turbochargers. These high-performance vehicles have high spinning power and tend to be more aggressive. Obviously, conventional oils won’t work out with these modern engines since they break down faster and will only expose turbo components to wear out. If you’re of the many who uses a turbocharged or supercharged engine, using synthetic oils is more advisable since they have the power to protect your engine’s components while keeping them at their peak performance. 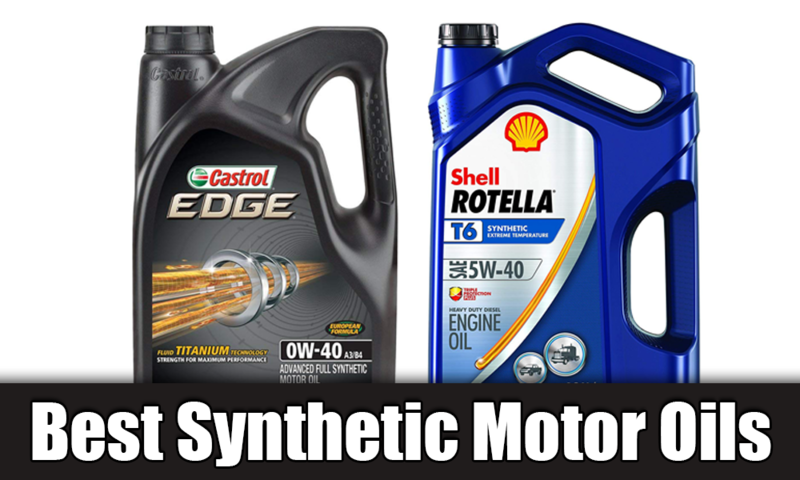 While you’re in the hunt for the best synthetic motor oils in the market, you might encounter terms like “full synthetic oil” and “synthetic blend oil”. Choosing on either of the two is not a choice of preference but rather should be based on your car’s needs. Considering synthetic oils can really get pricey, you don’t want to make the wrong purchase. To help you make the right choice here’s the difference between the two types. (Note: There is another oil which is the regular oil but we do not recommend it as this moment). 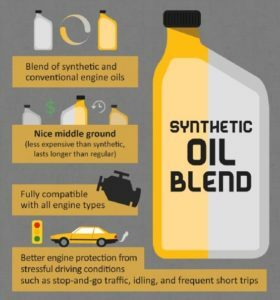 Since synthetic oils can cost you about 9 times more than the regular motor oils, going for synthetic blend oil is the closest thing you can get to synthetic oil but at a much lower cost. Also known as part-synthetic oils, synthetic blend oils are a blend of synthetic and mineral and other conventional oils to some degree. This is another upgrade to conventional oils and is typically engineered to offer nearly the same benefits as the full synthetic oils. It’s cost-effective yet highly efficient, to say the least. Great care has to be taken, however, when choosing for the additives and other components that make this oil to get a high level of performance. Best used for: Older and high-performance vehicles that have 75,000 or more miles on the odometer. Exactly how it sounds, full synthetic oils contain full synthetic compounds and a variety of additives that boost the performance of the oil. Unlike synthetic blends, it leaves the use of mineral oils. They come at a premium price but that’s because you are paying to reap the benefits of pure synthetic oil. They have longer-drain intervals and will last you more, making it a great investment in the end. Best used for: Industrial cars, Highly tuned four-cylinder and high-tech engines. Given its benefits and advantages, it’s easy to see why more and more automobile users and enthusiasts are leaning towards the use of synthetic motor oils. 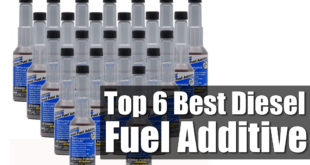 If you are one of them let us hold your excitement there for a while as there are few more pointers to consider before switching to best synthetic motor oils. Read and Understand Label Packaging. There are obsolete engine oils including synthetic motor oils out there that are formulated for cars built prior to 1930s. This means that using them on a vehicle built beyond the mentioned time period will cause harm to your car’s engine. Motor oil’s packaging labels include important details that determine the type of engine oil to use for your car. An SJ-, SL- or SM-rated motor oils are normally what suits car nowadays. For more reference, please refer to API service categories as well as Society of Automotive Engineers (SAE) for vehicles registered in the U.S. It may also be helpful to refer to your car’s Original Equipment Manufacturer’S (OEM) or consult your carmaker and talk to your mechanics for your car’s specification on lubricants. Go for Stardust and Donut Seals. Synthetic oils labeled as so only means that it has passed the regulations of API’s standards of quality oils. At the moment, the API’S highest rating for Standard Ignition (S) is SM. (Note that the higher letter that followed the symbol S means the more recent the technology of the oil.) Meanwhile, the current highest rating in Compression Ignition (C) in the diesel category is CI-4. For more reference please refer to API’s Gasoline and Diesel Engines classifications. It’s easy to see why Mobil 1 94001 5W-30 stands out from the buyers. The advance full synthetic oil is unbeatable in wear protection, cleaning power and overall performance which comes as a no surprise considering it’s manufactured by a company widely known and trusted for their reputable quality engine oils. Moreover, Mobil 1 5W-30 has met and exceeded the requirements of some of toughest standards and regulations of vehicle industry — ILSAC and API to name a few. 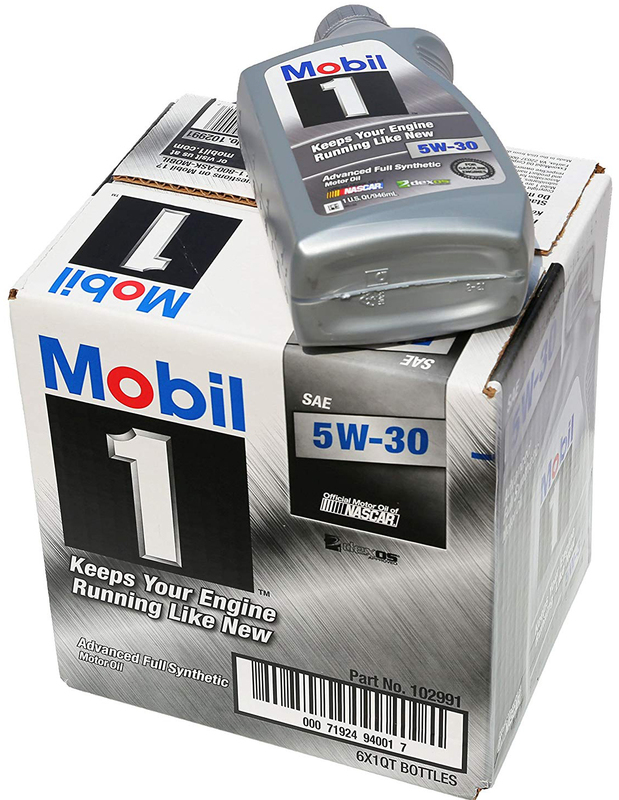 At any rate, you can rely on Mobil 1 94001 5W-30 keep your engine running like new!